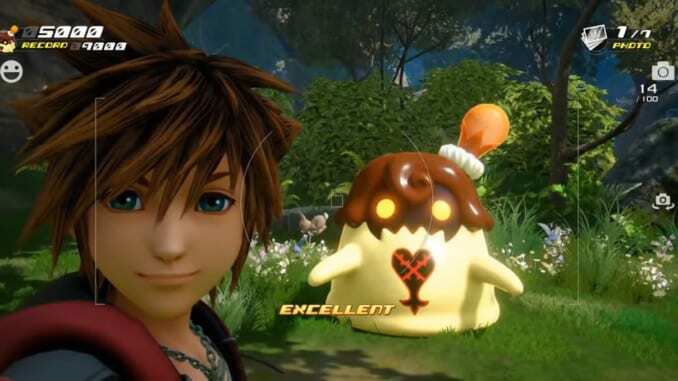 A guide on Kingdom Hearts 3's Gummiphone Photo Missions mini game, including basic controls, objectives, locations and rewards. Sora’s Gummiphone allows him to take various photos and selfies during game events. Players can earn rewards by taking photos of various encounters in the Photo Missions menu, which can be accessed from the Party Menu or Moogle Shop. Taking pictures of Lucky Emblems grants you various rewards such as rare items, materials and equipment. You’ll also unlock the game’s Secret Ending when you shoot all of them after finishing the game.